Planning some home renovations soon? If you have ever pounded a nail into a wall and suddenly seen sparks, then you know the dangers of hidden electrical lines when you are hanging pictures or mounting a shelf. Also, you may have ruptured a pipe with a nail and found yourself getting an unwanted shower. Those mistakes could be over with the Walabot. This handy device lets you see into walls before you nail or drill. Our Walabot review will show all the capabilities of this device. Even if you have concrete walls, the manufacturer says it can tell you what is hiding behind there. It is designed to work on drywall too. And though floors don’t tend to have as much beneath them, you can check to see what is down there before you start making holes. Let’s take a look at this tool and see what it can do. 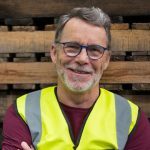 Is This the New Wave in Carpentry? It is a device that attaches to your Android phone and sends an image of what it sees behind your walls. On your phone screen, you see images of wires, studs, pipes-even pests. Think of an in-wall imaging mobile app, and you pretty much get the idea. The unit is about the size of a cell phone, except it is much thicker. One side of it has a magnet to attach to your phone, and the other side is smooth and flat. The flat side is the one you will use to run the device across your walls while you watch your phone screen to see what shows up. The flat side must be held to the wall directly, not at an angle, so you can see what you need to. What’s in the box: It comes with a DIY sensor, a USB cable, a magnetic disc, a protective sheet, and a manual. You will be hearing about a strap to put around your upper torso later (be patient), but that did not come in the box. Apparently, you have to order it separately. The manual will tell you how to see through walls and interpret the images you see. It is pretty thorough, so it wouldn’t be difficult to get started using the Walobot with a few minutes of its arrival. If you are thinking this sounds like magic, we are here to tell you it is science. Oh, and just in case you were thinking people could use it to look into your house from the street, it’s not made for that. It is for people who are do-it-yourselfers or professional carpenters. The fun begins when you look at what the different models can do. The makers apparently thought in two distinct categories when creating this product. The DIY model is for the person doing occasional repairs and small projects around the house. It comes with an array of basic features. You can use it as described above to see wires, pipes, studs (both metal and wood) and even rodents. These views work for both concrete and wood on this model. This model also lets you adjust the depth of field so that you can see 4 inches deep if you want to. You can adjust it to use less depth. The images on the screen are good, and they are in color. You can also scan across your wall and receive a graphic representation of the objects, with an indication of how far apart they are. This is useful for planning a project that includes the whole wall. One feature allows you to take a snapshot of an area you are scanning, so you can put the image on a computer and look at it more closely. This makes it more convenient to sit at your desk and make plans while viewing the image. This is a good basic unit for homeowners and other do-it-yourselfers. You won’t miss the advanced features if you plan to do light-duty repairs and redecorating around the house. It will certainly identify studs for you, so when you hang heavy pictures or mirrors, you will have a solid landing place for your nails or screws. The basic functions are enough to do a lot of jobs around the house. The imaging is not as sharp as on the more advanced models because it has fewer antennas. Also, it has a much more limited range of frequencies it can use. Because of this, it can be difficult to understand the spatial characteristics of the images. Keeping the device flat to the wall while pressing the scan button can be a challenge, though not an insurmountable one. The professional models come in three variations. Let’s look at what they offer you. Each model contains all the features of its predecessor. This model provides basically the same images that DIY does, though they are a bit clearer with the Starter. The unit serves as a motion detector as well. Not only is this appropriate for pests behind walls, but it is also good for monitoring rooms and porches where people or animals shouldn’t be. With this model, you have stepped up into some advanced features, along with better imaging than the DIY version. Keep in mind that it has all the features of the DIY, and they have enhanced sharpness and accuracy. With Starter, you have dipped your toe into the waters of professionalism. The advanced features offer some intriguing possibilities for using the Starter for more than walls, ceilings, and floors. The radar can be useful for some surprising situations, as we have seen. It offers superior detection capabilities and could be useful for someone who needs to be precise. There is simply less guesswork with this model. This model costs a bit more than the basic one, so if you don’t think you will need a breathing detector or a motion detector, you could save by purchasing the basic one, as long you are willing to sacrifice some image quality. This model contains all the features of the Starter model but has better spatial sensing. This is because it can track in 3D, giving you a much fuller look at spaces and objects. If you were sawing out a square of drywall or trying to break through concrete in a certain spot, you would need to know much more than where studs are. It has 15 antennas, meaning it doesn’t miss much. This version puts you squarely in the professional ranks. It is more likely than the lower models to catch hard-to-see hazards and objects and to show them to your clearly. Look this one over carefully. It could have all the features you need in your day. It is, of course, less expensive than the next model, and the imaging is very good. There is no need to pay for features you will never use, so compare carefully. The advanced imaging, plus all the features that the Starter model has, make this a serious tool for professional carpenters, electricians, plumbers, and remodelers. Out of all three of the pro versions, this one takes you halfway. The features are strong, but you might think of getting the best version once you’ve come this far. What’s the most powerful unit? This unit has 18 antennas, which gives it the broadest range of frequencies. It has high-resolution 3D imaging and can provide raw signal data. This is the best view behind your walls you are going to get without tearing down drywall. You are going to know exactly what is behind walls, whether drywall or concrete. This imaging is much clearer than the other models, and the 3D capabilities end the guesswork. It is not hard to imagine a pro using this for an expensive job where mistakes are costly. This version has every feature the maker provides, and the company releases improvements that can make this product even more versatile. This is up there in price, so make sure you want all these features and precision. This is for serious professionals who will need the device almost daily. Otherwise, it would be hard to justify the expense. The device uses radar detection. It can “see” four inches behind your walls, ceilings, or floors. At the same time, the in-wall imaging mobile app sends images to your phone screen so you can avoid hazards. It turns your phone into a tool that can show you live pictures what is going on in the places you want to drill, drive nails, or insert screws. You slide the flat side of your Walabot slowly and stop whenever you see an obstruction. This is useful if you are working in a limited area, such as when you are putting up shelves or anchoring a heavy picture, cabinet or mirror. In other words, because it fits in the palm of your hand, you wouldn’t scan all of your walls at once. It seems to be made for small areas where you want to work. Of course, you can work in larger areas as well, but you have to scan each place you will be working separately. You can actually see a demo of it. You have to download the Software Development Kit the website directs you to. Then you can play the demo on the demo app in the kit and see how the unit functions. Also, the Walabot website features some very short demos that will help you understand what it does. These are not instructional videos. They are obviously designed as teasers to sell the product. Still, it helps to see Walabot in action. It’s not as simple as it may seem! By the way, it’s not just a stud finder. It can show you movement behind your walls, meaning if you have any pests, you will see them on your phone. That is, you will see them if they are very close to your walls. Depending on the model you buy, it will actually do a lot more, but before we get to all of that, let’s find out if it lives up to its promises. We calibrated the device according to the instructions. You have to calibrate before every use. And by “every use” we mean every time you switch to another wall. You will see the calibration meter on the left side of the screen once you connect the unit to your phone. Then we had to select between concrete and drywall. We started with the drywall mode. We had a choice “sensing modes,” and those were Pan, Images, and Expert. Pan is for measuring the distance between studs. We moved the device across the wall and it did show us where the studs were and how far apart they were. We did not see actual images of the studs. Instead, we were given a graph with colored lines sitting just above a ruler. The red lines were the studs. The graph took some getting used to, but the measurements were accurate. A blue line revealed the location of a pipe. For the Images mode, we scanned the same wall area. This time, instead of a graph, we could see actual images of the studs and pipe. According to the workshop, the Pan mode shows the measurements, while the image mode zeros in on how the objects actually look. Focusing on one of the studs, we switched to Expert mode. At first, this looked like a read, shapeless blob. But we pressed the button on the right and the image of the stud returned, this time with a mark showing where the center of the stud was. This would be most useful for nailing and screwing through the wall because you would be sure to hit the stud fully. We tried concrete instead of drywall, and we could see behind the wall easily. We had to use fairly narrow concrete since the device can only penetrate four inches. The screen that appeared on our phone showed us a row of settings on the left side that indicate what mode you are using. In fact, all the controls are quite visible and easy to use. They are touch sensitive. We could see plastic pipe behind tile, as well as metal pipes behind drywall. Also, when we followed a pipe, the unit showed us where the turns and joints were. Electrical wires were clearly visible in pipe mode, and we found some in surprising places. This can be important because wires have a way of wandering off the path you might expect them to be on. The concrete mode showed approximately the same results. This version went through the same paces as the DIY model, because it is supposed to contain the same features. It performed about the same as DIY, but the images were a bit better. For the breathing detector, we had to put a strap around my chest. The Walabot sent a live graphic readout to the computer. It was probably a standard graph for doctors so it was a bit difficult to read at first. But after a bit, the breathing patterns were recognizable. The graph is live, so you can see the rise and fall of your breathing. How about the motion detector? It provided a fan-shaped scan of a room. As I walked in and out of that room, the device counted the number of entrances. It also tracked the movement graphically, showing where I went in the room. This would not work as a surveillance camera because it does not record images. Powerful Screwdriver Reviews — Which One Is the Best? The Creator model performed well on all the basic functions. We did find the advanced spatial capabilities to be a great improvement. It was much easier to see the spaces around objects, making their relationships easier to understand. The 3D tracking was easy to use and revealed a much better view of objects. The extra antennas made this model much clearer, and it seemed to catch more details in the objects we scanned. This model performed very well. This version has all the bells and whistles, so we were excited to try it out. The 3D resolution was much better than the Creator’s, and the imaging was clearer, aided, no doubt, by the 18 antennas the unit has. Interestingly, this is the only model that came with a case to protect it. The Walabot only works with Android. If your Android can run USB On the Go (OTG), it will work with Walabot. This covers most recent phones. The company website gives you an email you can write to so you can find out if your particular phone will work. The iOS version of Walabot is not available yet. However, Apple users can get put on a notification list that will let them know when the iOS unit is available. Note that this device does not work on tablets of any kind. You can add your own features. The Walabot allows you to create applications that greatly expand its capabilities. You will be surprised at some of the ideas people have come up with. One app helped the Walabot measure the speed of a baseball pitcher’s throws. That brings to mind several other uses for this kind of app, such as clocking the speed of someone’s tennis serve. Imagine someone training with this app as they try to improve their speed of delivery. We suppose it could even measure the rate at which a hockey puck travels. An app that might be a bit more useful was developed to monitor home energy use, as well as security. That sounds like both a money saver and a life saver. We don’t have details on how the app was developed, but at least we know it can be done. It seems like Walabot would make this a standard feature because it seems really handy and has a cost saving attached to it. The motion detector’s counter suggests some interesting uses for the Walabot. A person could use it to count foot traffic in a retail store. This would let shop owners. They could find out if they need to do more advertising to get more people in the store or compare the number of customers to sales. Doing this daily could reveal the best days of the week for sales. City planners could measure foot traffic in a public space to see if there are enough people visiting the area to justify further development in the area, or to track how much a new walkway is being used. The 3D capability could be useful for artists and architects who want a realistic image to work from. The four-inch limit seems a bit daunting, but for small objects and models, it could do the trick. We took a look at regular stud finders to see if the capabilities of the Walabot really outshine its old-fashioned counterpart. Will it make the revolution anytime soon? First, you have to know that there are two kinds of stud finders: magnetic and electronic. The magnetic stud finder senses nails in studs. You have to be crossing the stud where a nail was placed for this to work. That seems a little iffy. We have used a magnetic stud finder and found that even when it indicates a stud, you can miss that stud because you don’t know its true center. Of course, the magnetic stud finder would not work for detecting PVC pipes, and it couldn’t find metal pipes that were not close to the wall. And it certainly won’t give you an image of anything it does find. Some old-school carpenters like to use magnetic stud finders to test their own skills at figuring out where studs are, but for the rest of us, the Walabot has this one beat by a mile. Electronic stud finders came along as an improvement over the magnetic ones. They measure changes in a wall’s density. Where the wall reaches the highest density, you will likely find a stud. It is still a bit of a guess as to the stud’s placement behind the wall unless you use an edge finder. This is a version of an electronic stud finder that measures where the wall density starts and ends. This defines the stud. Again, this doesn’t measure up to Walabot’s ability to find pipes, wires, rodents and unexpected structures behind walls. Two-dimensional the three-dimensional images also are a great improvement over electronic stud finders. I think the ability to detect electrical wires is a standout capability for Walabot, and this could take the danger out of a lot of remodeling jobs. Of course, the electronic stud finder cannot detect electrical wires. Neither magnetic or electronic stud finders work with concrete. What will we see in the nearest future? The comparison of Walabot to stud finders suggests that this is one more way carpentry is entering the booming world of technology. The capabilities of this device could become a standard tool for carpenters. Hiring a contractor would mean you expect electrical wires to be avoided, along with pipes. The public is not at that point yet, but as this technology spreads, carpenters will be under pressure to avoid costly mistakes that come from drilling into the wall in the wrong location. Universities are starting to use the tool in teaching engineering, so no doubt young people will be the ones to adopt the technology first. The maker of Walabot offers special pricing for universities and colleges and sponsors student contests. We’ll see if this helps Walabot catch on. You may have lots of questions about Walabot, so we have selected some of the most common ones to answer. How do I know which model I need? One of the best ways to answer this is to ask yourself how often you will need it. If you think it will rest in that kitchen drawer everyone has for random items, then the DIY version is probably your best shot. Look back over the last couple of years and count the projects or repairs. Also, think about how the Walabot would have helped you. If you are planning a good-sized renovation, you should think about one of the more advanced models. It is wise to be careful when tearing into walls, floors, and ceilings. Tasks like hanging cabinets require some solid mounting, and while the DIY version can help with this, it might be useful to have clearer imaging. For professionals, the three options get a little bit subtle. The way to narrow your choices is to look at the jobs you do on a regular basis. That will give you a solid idea of the features you need. If you are planning to expand your clientele to include other types of jobs, then you should consider the advanced model. You are unlikely to come across a situation it can’t handle. Also, while you are still growing your skills, perhaps look ahead one model to be sure. Does Walabot issue upgrades like other devices do? Yes. The company continues to add features and enhanced capabilities for their devices. When it first came out, Walabot could not tell the difference between wood and metal, but now the upgrades allow it to do that. Also, it can now provide a map of larger sections of walls. That is the result of an upgrade as well. More updates are planned, so your device can grow as technology grows. When you get your Walabot, use it right away. You only have 14 days to ask for a refund. For advanced units, this means trying out an array of functions in different situations. Make sure it performs the way you expect it to. We suggest you do this testing even if you don’t currently have a project going. We also suggest you make your test though. Put the device through a variety of measurement and imaging functions. Also, make sure you can understand the graphics. They take a little getting used to, and they won’t do you any good if you can’t interpret them. Also, evaluate the images. These are the most important feature of the Walabot, so ask yourself if you can see what you need to. You should try out the navigation as well. See if you find the icons intuitive. In the demo videos on the website, everything looks quick and easy to learn, but we found we had to pause a lot at first. The learning curve is not steep, but there is one. Are you the type who takes to electronic gadgets easily? Oh, and of course, download the software you will need. It should be easy, but glitches do happen. If you have difficulty, this will probably be a one-time occurrence, but if you just can’t do it, you will need help. Walabot offers support on its website. Can I create apps for the DIY model? No. That capability is only available on the pro versions. If you have an interest in developing apps, you will definitely need to go with a professional model. All three of those allow you to make apps. Will Walabot work with my computer? Yes. Unless your computer is old and doesn’t have enough working memory to handle the images Walabot sends, you will be fine. Computers that have been purchased in the past five years or so should be able to handle the job. You connect the Walabot with a USB cable. Bluetooth is not available for this product at this time. The company does not list any type of radiation emitted by the unit. Radar is very common, and you probably are in radar range quite often, especially at airports. There is no known health hazard to radar. What if my walls are rough? The unit does require that you place it directly on the wall surface. If you are concerned that your walls are too irregular, be sure and test the device immediately when you get it. However, it has been reported to work on stucco. But there are a couple of things you should be prepared for. The first is that as you move up to increasingly sophisticated models, you are not just getting more features. The basic features get better. In other words, the DIY model is good at finding studs and pipes, and of course, the advanced models do that too. But they also have better imaging. This can be important when you need to know in detail what is behind walls. The precision improves with each successive model. 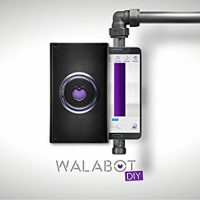 So we believe that DIY Walabot is a winner here if you are in need of progressive home tool and you do not want any additional features. Ease of use is also important for a Walabot review to be complete. We found the software development kit was simple to download. Attaching the Walabot to a phone was also simple, but if you have a non-metal backside of your phone, this could be a problem. The company has not suggested any alternative ways to attach the phone to the device. We should also say that Walabot is not revolutionary. What we mean by that is the technology has existed for some time and other wall-searching devices use it. So, the question becomes, is DIY Walabot the right device for me? Honestly, unless there is some device out there that turns into a helicopter and goes to pick up your groceries, it’s hard to imagine needing any more features. This is especially true because you can develop apps for Walabot and extend its capabilities. The Walabot will serve you well for most jobs. Know what you need it for and your expectations will be most likely be met. Get creative, and your expectations could be exceeded. I do a lot of DIY projects, so I was interested in this new technology. I had to download the app, but besides that, my Walabot was fully useful the way it came. I tried it on various places around my home and had fun using it around electrical switches and in the bathroom to see pipes. It took a while to get used to how to hold it because you have to hold the scanning button down while you use it. But I got the hang of it pretty fast. It took me about a quarter of an hour to get my Walabot working with my phone, and I had no problems with the setup. I tracked electrical wires through concrete and was able to see what direction it went. This really helped me with my project. I was able to use my Walabot for something that wasn’t advertised about it. In fact, I am surprised they never mentioned it. I found termites behind my wall. I could not only see them, I could see their motions. I even took a snapshot with the Walabot so I could show exterminators what they were up against. I thought the Walabot was really accurate. I was hanging some pictures, and for one of them, I found out that where I was going to nail was right on top of some electrical wires. I wouldn’t have expected them there. I was able to work around the wires. Probably saved me an electrician’s visit. It is taking me a while to get to all the features on my pro version of the Walabot. The basics of finding studs and wires worked very well. I didn’t realize there were metal studs in the house I was working on. The raw signal data took me some time to understand, but now I can use it pretty easily. I now have a hole in my wall with no wire or pipe behind it as the walabot indicated there would be. Complete garbage. Do not buy. It’s a stud finder at best, but you can get better stud finders for cheaper.